Forgetting about your kitchen windows is easy. Forgetting about your kitchen windows is easy. After all, you might do everything you can to avoid spending time in the kitchen, either because you don’t cook, or you don’t have the motivation to deal with all of the dirty dishes and cluttered surfaces. However, one way to make your kitchen more enjoyable is to bring more light into it. Here’s a guide to choosing new windows for your kitchen. The sudden reappearance of warmer weather isn’t an illusion. Early spring is coming, and that means it’s time to start opening up and getting some fresh air. 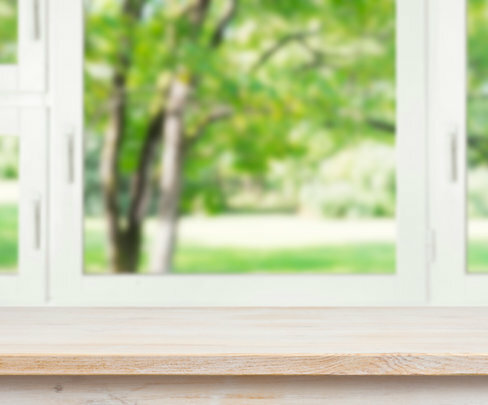 After a long and stuffy winter, a replacement window in the kitchen can make it easier to breathe new life into your home. Casement and sliding windows are much easier to open than a double-hung window, especially if you only have one hand to operate the window’s mechanism. All you need to do is work the crank and lock to open these kitchen windows. Replacing the kitchen windows can also improve the view you have of your yard and your surroundings. A great way to greet the day is to stand in the kitchen and watch the sunrise as you eat your breakfast and sip your coffee. Consider replacing your current window with a set of picture windows, or an awning window. If you prefer a bay window, then that’s also an option; however, you will need to have an opening ready to accommodate the bay window. Another way to make your time spent in the kitchen more enjoyable is to start a little garden in your window box outside or on the ledge inside. The more sunlight you can catch, the better it will be for you. After all, natural light can help you feel better, and it can help nourish any of the plants you are trying to grow. One final way to make your kitchen windows stand out is to customize them. For example, you can use decorative glass, or think about using different grids than your neighbors do. It’s also possible to incorporate different shapes into the design of the window panes. Ultimately, it’s up to you, but when you have replacement windows installed, going for form and function is a smart approach. This entry was posted on Friday, February 8th, 2019	at 1:45 PM	and is filed under Windows	. You can follow any responses to this entry through the RSS 2.0	feed. Both comments and pings are currently closed.